Hope Pro hubs have gained a reputation for being exceptionally versatile, as they can be adapted to just about any axle size and cassette arrangement. Holding true to tradition and building upon the charms of the Pro 2 series hubs, Hope introduces their Pro 4 series hubs which come to us refined with larger flange diameters to improve wheel stiffness, and also allow more interior room for a bigger ratcheting ring, now biting with 44 teeth for a noticeable improvement in engagement speed, equating to snappier accelerations and an overall more responsive ride. Additionally, the Pro 4 rear hubs get upgraded with a longer freehub body that accommodates the ever so popular 11-speed cassettes from Shimano and SRAM. Not running 11-speed just yet? Fret not, as you'll still be able to use 8, 9, and 10 speed cassettes (with non-XD freehubs). Knowing that none of this would mean anything if the hub's innards didn't hold up to the rigors of the trail, Hope didn't hesitate to use a bigger inboard freehub body bearing to further improve durability. 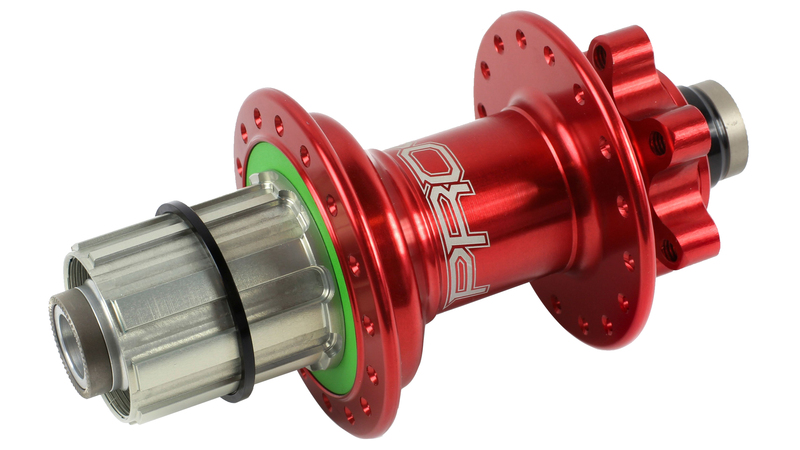 All of these new features come with little-to-no change in weight over the Pro 2 hubs, making a wise decision easy. Does this come with an axle?